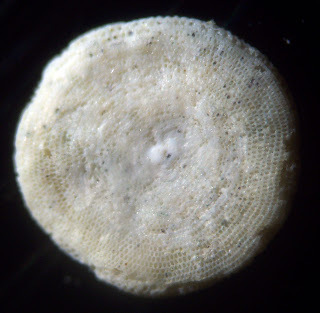 I have been studying some more of the material from the island of Guam. The first picture shows a Baculogysina foraminifera shell be tested it a weak acid (white vinegar). It looks to be a carbonate. 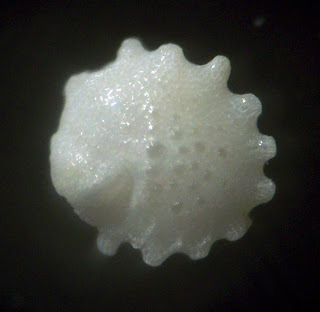 The next picture appears to be an Amphisorus foraminifera. 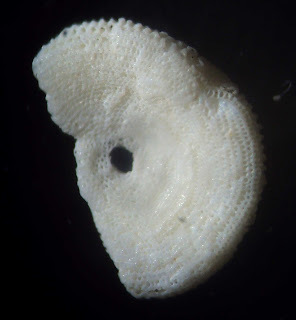 The following image of a foraminifera appears to be Calcarina. The last image is of maybe a fragment of an Amphisorus. 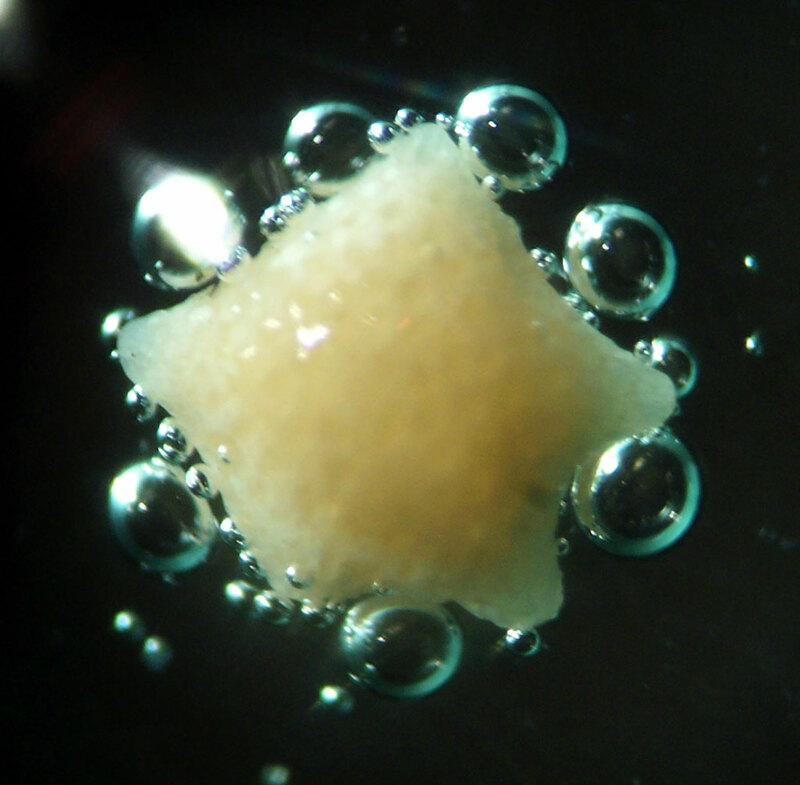 Images have a 2-3 mm field of view. Thanks to Pam for obtaining the specimens and Herb for getting it to me.